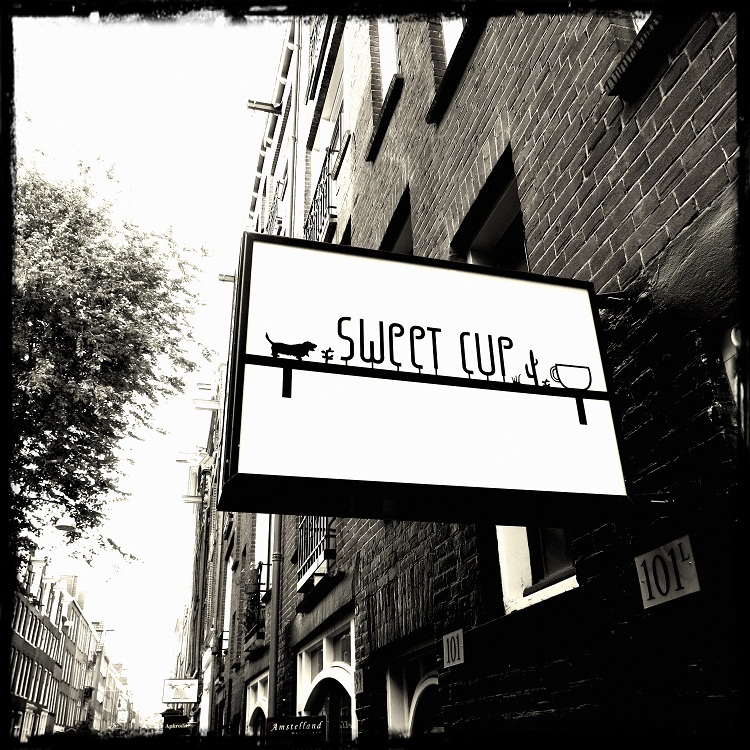 Tucked away from the main streets at 101 Lange Leidsedwarsstraat is a gem of a coffee house. The owners and operators of this place are a super friendly and laidback couple called Paul and Lisa who are both passionate about coffee. They are pretty good at hospitality too, which all goes to make you feel like you can kick back like you’re in your mates kitchen whilst sipping a proper brew. After a good old fashioned chin wag and a pat of the resident doggy, we tried the espresso. It is very well made on a small La Marzocco Linea. 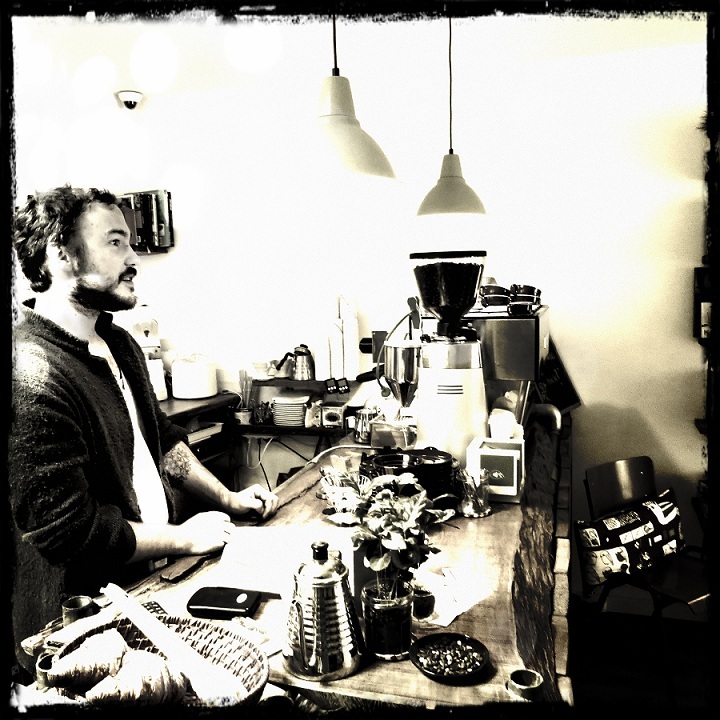 Paul is new to roasting and he admits that he is still learning but hes keen to not follow trends of the crowd but to keep his ears and eyes open to everything. It shows – the short shot of espresso was simple at first taste but then quickly developed into a creamy, lactic mouthfeel with spicy cocao flavours – delicious! 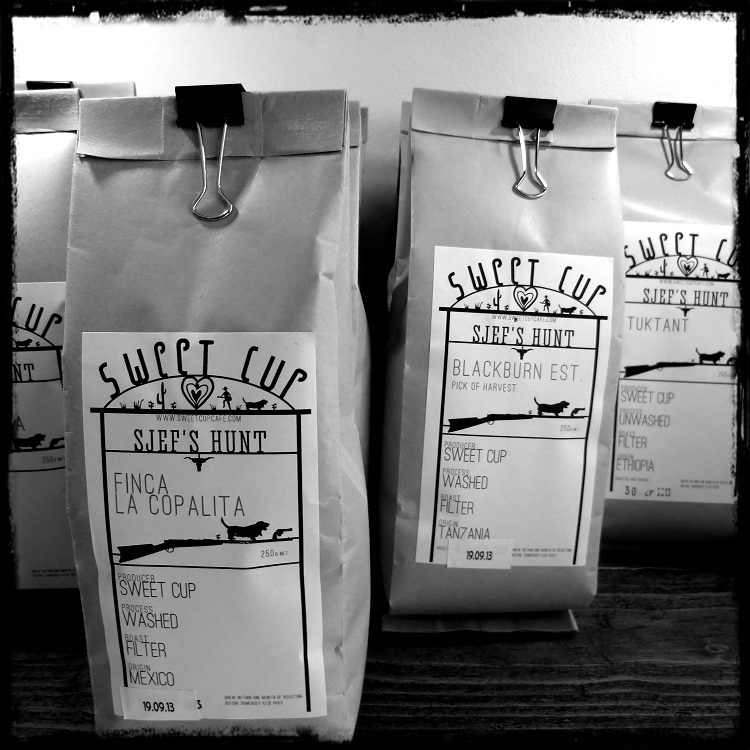 Paul revealed it was a Mexican coffee that he roasted instore on his tiny Geison roaster. Leaving us with the opinion that Paul deserves some credit for creating a warm, welcoming space that serves one of the best coffees in town.